Cheap flights from Budapest to Mexico City already for €431 return! *see UPDATE below* Thanks to latest Air France KLM promotion we have some great news for travelers in Hungary. 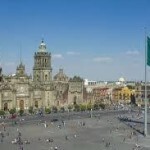 Based on joint service of those SkyTeam partners you can book greatly disocunted flights from Budapest to Mexico City. The cheapest flights are available already for €443 for a round trip incl. all taxes as well as 23kg luggage. You can book this deal also directly with Air France from €480. Heading to Mexico this winter season do not miss this rarely seen promotion on this route..we do not expect that this promo sale will last long as we already see only few seats on some of the cheapest travel dates.. *UPDATE*. : Adding even slightly cheaper solution with Oneworld airlines (Iberia / British Airways). Return flights Budapest to Mexico City now already for €431! You will find limited travel dates from September 2018 to 26th of June 2019. No availability in second half of December. Max stay 3 months. Oficial conditions of this Air France KLM promo sale says it is running till 30th of September..as mentioned we do not expect the cheapest flights will last that long..below our booking sample based on various online travel agents. You want to book your accommodation in Mexico City in advance we recommend service of Booking.com or Hotels.com. Travel dates is the easieste to compare directly at website of the airlines. They conveniently offer month´s view so you can easily compare all the lowest priced deals to Mexico. Booking sample of cheap flights from Budapest to Mexico City already for €431 return! As per above link to this deal to Mexico you would depart from Hungary to Mexico City on 3rd of March. Inbound flight from this country in North America back to Budapest on 9th of March 2019.